Your visitors see a modern live chat tool. You see all the data you need to have an informed conversation. Everything you need to manage your conversations at scale. Chat in real-time with leads and customers in a modern messenger. 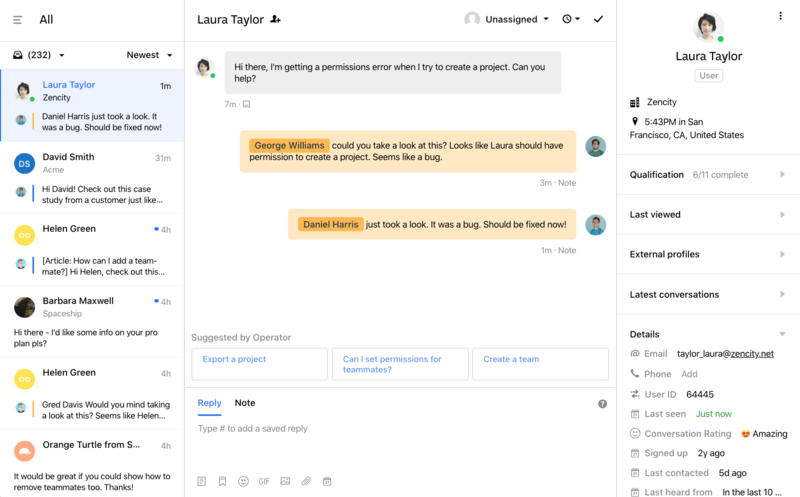 View, manage and respond to all chats in a shared team inbox. 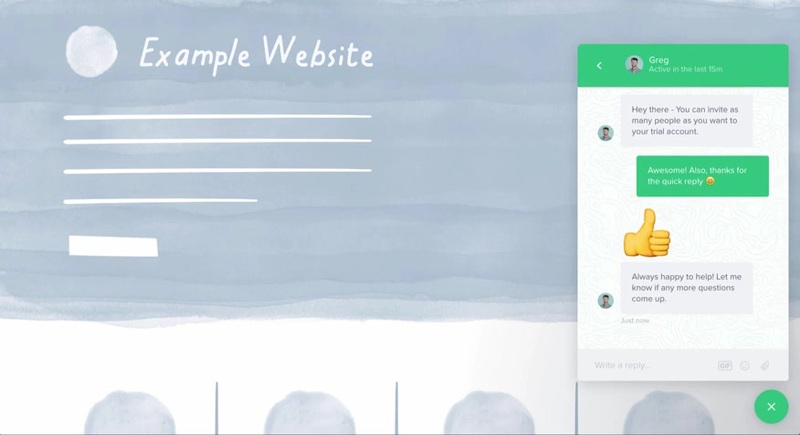 Send replies by email if a visitor leaves your website before you respond. See conversation volume and understand how your auto messages are performing. Reply to people on-the-go with intercom apps for iOS and Android. Honestly, Intercom has spoiled our new customers with a great way to get a hold of us and a consistent way to receive onboarding messages. That’s what we want: an amazing experience with our success and support interactions.